If you don’t know a lot about computers but you’ve been told to get a solid state drive, prepare to be confused. If you are a first time upgrader when it comes to hard drives, you will want to learn a little bit about solid state drives which can provide the kind of upgrade that users will notice. There are many choices out there and if you’re not sure what to look for you could end up feeling overwhelmed. We have the solution and have brought you the top rated solid state drives on the market that computer owners and industry leaders recommend. Learn more about them below. These solid state drives are some of the best in the industry and for good reason. We’ll provide information on the features they offer as well as describe what they do for your existing computer system. The computer industry is one of the easiest industries to overspend and not really know what you’ve purchased. The purpose of this review and buyer’s guide is to help you understand what a solid state drive is and what it can do for your computer experience. These top rated solid state drives will help your computer run as much as 30% or more faster than normal and they don’t have movable parts inside the hard drive which means that any kind of mechanical failures are almost eliminated completely. You’ll notice that operating temperatures are lower and they take up less space inside the computer than a traditional hard drive. If you want to breathe new life into your existing PC one of the best ways to do that is to get a solid state drive. This Samsung 850 EVO can write, read and multi-task with incredible speed. This solid state drive or SSD as it is known, will not only speed up your OC it will transform it. Other benefits this SSD provides your PC include enhanced boot up speeds, and lightening fast application loading and superior performance when doing multiple tasks. This SSD includes 3D V-NAND technology so you can work and play faster than ever before with no performance issues or lagging. Your PC will have excellent performance, reliability and incredible energy efficiency. Samsung provides users with unbelievable read/write speeds that are perfect for someone who works on their computer or is into gaming. The first class performance speeds are 540MB/s for reading and 520MB/s for writing which are truly class leading speeds. You will also realize optimized performance in all QD for better performance all around. The Samsung 850 EVO comes with a spectacular 5 year warranty and will provide long term high performance for your PC. This Samsung SSD assures that users will get 30% longer performance than their previous 840 EVO. They just keep getting better and better and now you will get to enjoy the benefits of the increased performance, unbelievable speeds and less mechanical hard drive issues. 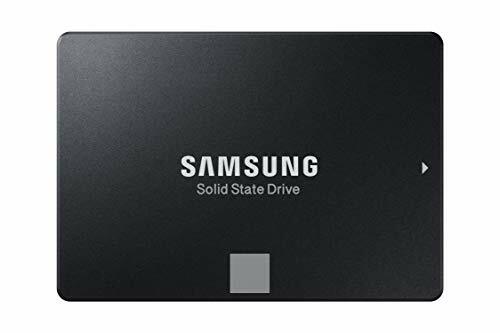 Users who purchase the Samsung 850 SSD will receive the Samsung Smart Data Migration Software, Samsung SSD Magician software and Manual CD and the quick user manual so you can get started with lightening fast performance right away. Don’t replace your entire computer; just give your existing system a huge boost with the Kingston Digital SSDNow. Experience improved application loading and system boot up speeds that will dramatically improve the responsiveness of your existing PC. The Kingston SSDNow has no moving parts which mean a large reduction in hard drive related breakdowns. They are much more reliable than the standard hard drives. The design of the Kingston is much more economical to make switching to a SSD a lot more affordable. One of the popular features of the Kingston SSDNow is the LSI SandForce controller that is customized and optimized for the new generation of flash memory, this results in the delivery of reliability and quality that is second to none. It is shock proof and able to handle drops and bumps without malfunctions; perfect for avid gamers. This SSD stays cool and runs silent so there is no disturbance despite the incredible increases in speed and performance. Upgrading to this SSD is much less complicated than switching your data to a new system and is a lot more cost efficient as well. 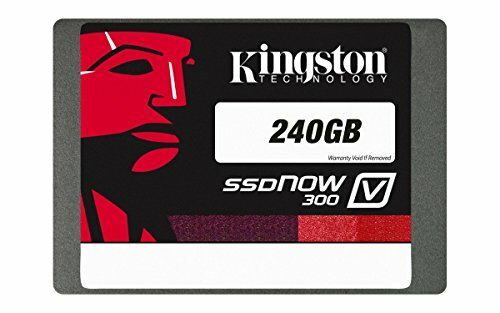 When you’re looking for a way to improve the performance and speed of your existing PC, this Kingston SSDNow is the way to go that will save you time, money and headaches. The differences in your system will be a huge change that you will wish you made sooner. Want to experience dramatically increased speeds and performance? You can inject new life into your existing PC with the SanDisk SSD that will help your PC perform up to 20x faster than a regular hard disk drive does. Features like the no wait boot, shut down and app response is why the SanDisk SSD is so popular. It is an affordable way to upgrade your existing PC and experience significant and noticeable increases in speed, performance and reliability. Data transfer speeds will also be increased and the shock and vibration resistance means it is much more durable than the traditional hard drive. With this upgrade you will get to experience what all the fuss is with the cool and quiet SanDisk SSD. Not only does it improve performance but it will also extend the life of your existing PC as well. You’ll feel like you bought a brand new, upgraded computer even though you only spent a fraction of the cost of a new PC. The high sequential read speeds are 48p0 MB/s and sequential write speeds are 400MB/s. This means better performance in everything you do on your computer from business to gaming. Set up is a breeze, even if you don’t know a whole lot about computers. This SanDisk SSD comes with very easy to follow, step by steps directions and cloning software so you’ll be up and running in no time. Another benefit to the SanDisk SSD is the longer battery life your laptop will have. Just one charge will last even longer than it used to with the old hard drive. This kind of efficiency is what those who are on their computers a lot for work or play are looking for. Solid State Drives can make a huge difference in how your PC runs and how you feel about doing your work and playing games on it. It can even make a difference in how you feel about surfing the web because pretty much everything you do on your computer from gaming to file saving will be improved and much, much faster. 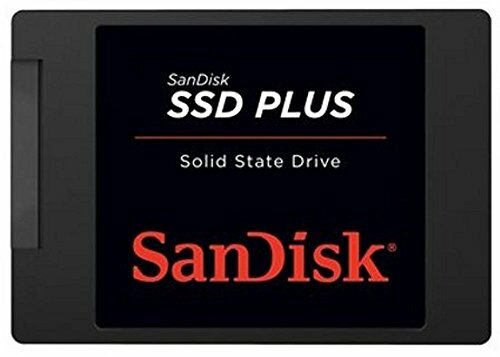 These top rated solid state drives are designed to provide the user with an economical way to complete revamp the speeds and performance of your existing computer system. Keep reading below to learn even more about solid state drives and see if they are the right choice for your existing computer system. We’ll walk you through all the things you need to know to get started upgrading to a SSD that will change the life of your computer and make it feel like a brand new one. If you are not very experienced with computers, you may not know what a solid state drive, or SSD is. We’ll give you a little bit of background. A solid state driver is an upgraded and improved version of the traditional hard drive. It is a data storage device. It functions the same way a traditional hard disk does and lasts for years. The main difference that you will notice when using a computer with an SSD is the speed in which it does pretty much everything. The speed and efficiency that a SSD has is one of the reasons it is becoming so popular. If you are looking for a way to really make your computer speed up, this is the way to achieve that at a drastically reduced cost than buying a whole new computer. Overall system will be snappier and like new life has been breathed into your computer. It’s not really difficult to choose a solid state drive but when there are tons of available choices and brands it may feel overwhelming to try and sort through them all to decide which the best choice is. We’ll describe what you need to look for when searching for a solid state drive for your existing PC. Even though upgrading to ANY kind of an SSD will be a huge improvement over your existing hard drive system, you want to get the best you can for the budget you have. There are several things that you want to look for when you start your SSD search. High Max Speeds – Maximum read speeds are typically around 400MB/s and Max write speeds of 300MB/s. The numbers are not written in stone and you may find some solid state drives have slightly higher numbers but those are the typical numbers that they have. Real World Speeds that are Good – Real world speeds are not typically provided by the manufacturer since they are always going to be slower than the maximums. If you want to look for real world speeds, check online reviews for speed checks. Don’t let this get to you if the real world speeds are usually significantly lower. Make sure that any test results provide speeds that are about 2/3 what the max speeds are. Multi-Level Cell (MLC) NAND flash memory – there are two kinds of memory that you will find when shopping for an SSD which are multi-level cell, or MLC and single-level cell or SLC. MLC stores more information on it than the SLC. There is a higher rate of error on the MLC than the SLC but SLC is not very cost effective. You can get SSD with error correcting code which can prevent the error problems the MLC experiences. You want to make sure that your SSD provides plenty of bandwidth so data is transferred as efficiently and quickly as possible. Making sure that your SSD is compatible with SATA III will accomplish this but your PC must be compatible with the SATA III too for it to work properly. If your computer doesn’t support the updated SATA specifications, it will still work; it just won’t be as incredible as it could be. ECC Memory – ECC stands for error correcting code. This gives the solid state drive the capability of detecting and correcting data corruption that is commonly found and that renders data unusable on you drive. Solid state drives that have ECC are much more reliable than those that do not have it. Reliability and Reputation – Sometimes it is hard to determine if something is reliable or not and this is where reviews and customer feedback is very important. Look for manufacturers that have a good reputation, preferably one that is well known and then read the reviews on the SSD that you are interested in. Because this is relatively technology, you do not want to purchase your SSD from a brand new company that may just be jumping on the solid state drive band wagon. Look at ratings as well in the reviews and look for ratings that are at least a 3.5 or higher. Our intention with this review and buyer’s guide was not to try and teach you everything there is to learn about solid state drives. That is not possible in this type of application. Our objective was to explain what they were, what the benefits are of upgrading your existing PC with one and what you can expect from them in the way of performance. We’ve also explained what to look for and how to tell one SSD from another when you are searching. With the right information and knowledge you can sort through the numerous choices available and match the solid state drive with your needs. The top rated solid state drives that we have reviewed here are some of the top in the market. Their read and write speeds are high and the companies they are manufactured by are well known and respected companies in the computer and technology industry. Purchasing a solid state drive and upgrading your PC with it will open up a whole new world up faster speeds, downloads, boot ups and other improved computer processes. Armed with the right information you will not have to worry about making the wrong choice and being disappointed.